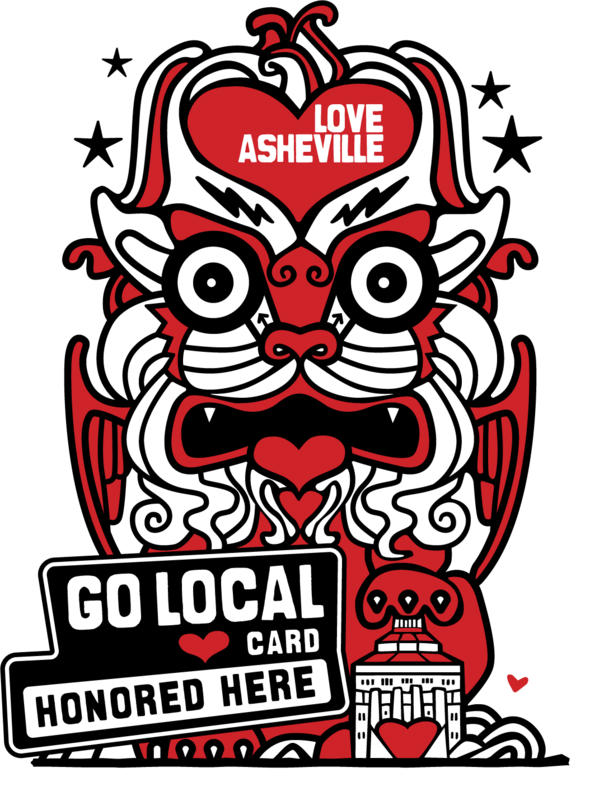 Just in time for Valentine’s Day, the city of Asheville will declare the week of Feb. 10-17 Love Asheville Go Local Week, the founder of Asheville’s buy local program announced last week. The weeklong celebration, focused on downtown but inclusive of all of Asheville, would serve to promote independent restaurants and retail shops, Asheville Downtown Commission member Franzi Charen told her fellow commissioners last week. Charen, the owner of Hip Replacements clothing boutique, is also the founder of Asheville Grown Business Alliance, the city’s buy local movement. The promotion, which will encompass Valentine’s Day and Asheville’s Mardis Gras celebration, will include all of Asheville but will be focused on downtown businesses, Charen said. To that end, the city is sponsoring the creation of 10 banners that will feature the Love Asheville logo created by Jenny Fares of Sound Mind Creative, Charen added. 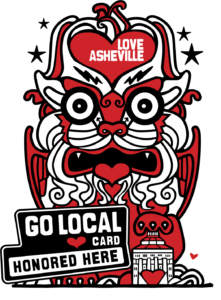 In addition, the Asheville Grown Business Alliance is once again selling its Love Asheville Go Local Card. More than 400 locally owned, independent businesses honor the card, which offers discounts for cardholders. The card raises money for Asheville City public schools and last year raised more than $19,000 ($84,000 since the start of the program six years ago.) The card costs $18. 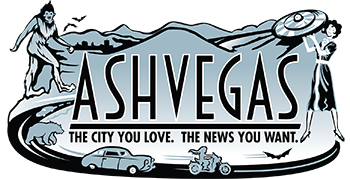 “We love Asheville, local businesses are the backbone of our economy, key to our vibrant local culture and the spirit of our city,” Charen says in a press release for the card. Go pick up a card if you have not done so already! The $18 helps schools and more than pays for itself after the first few purchases. Great discounts or “free gifts” while dining, entertainment, shopping, health & wellness, and so much more at places you probably already frequent. Go Local Card Offers I use regularly! Walnut 5 – Free local snack with the purchase of a glass of wine. Chestnut – 10% off lunch or brunch. Excludes alcohol. Corner Kitchen – 10% off dinner. Excludes alcohol. Jerusalem Garden – 10% off your meal, excluding alcohol. Roman’s Deli – 10% OFF any purchase! Smokey Park Supper Club – Free house-made Cracker Jack with cocktail purchase! THE HOP – 15% off of all orders. West Village Market – Spend $20, get 10% off all purchases, except beer & wine.